Naturally, this made them the perfect (hilarious) hosts—along with executive producer/director Michael Waxman and production designer Chloe Arbiture—for a set tour during a break from filming the show’s fourth season. In the videos below, the duo reflect on their characters’ season 1 fight, share new additions to the set, play with some props, and more. 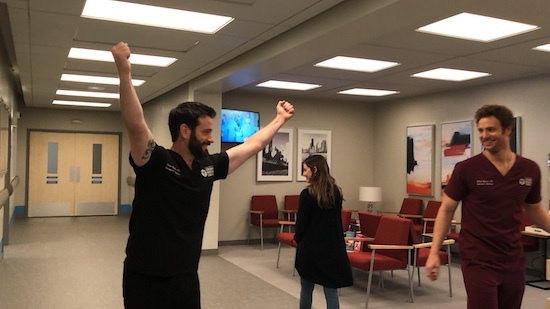 Check out the CHICAGO MED set tour!